The number of construction firms increased by 6.2% in 2017 however the number of insolvencies also increased by 3.4% according to the latest report published by the Office for National Statistics (ONS) in October 2018. 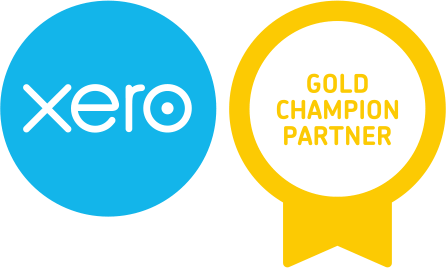 By using the Xero CIS Module the complexity of the Construction Industry Scheme (CIS) is removed and the management of subcontractor payments is greatly simplified, saving the business time and money. The ability to access your real time cash position with digital accounting, rather than dealing with historic data, ensures that knowing and understanding the numbers has never been easier. When it comes to tracking profitability, managing cash flow and forecasting requirements for working capital - online accounting ticks all the boxes. Slow and late payments can be reduced with the use of online payment systems and invoice reminders. Online accounting makes it easier for construction clients to collaborate with 1 Accounts and seek more detailed guidance on the financial implications for more complex projects. Easy access to information ensures that the quality of decision making is improved. Decisions can be taken on hard financial facts rather than gut instinct. Those construction companies working with 1 Accounts have been willing to adopt technology into their business processes and are reaping the rewards. According to the ONS the number of people in the UK aged 85 plus is predicted to grow by 36% over 2015-2025. The growth is expected to lead to an increase in demand for care homes. The Quality Care Commission (CQC) has reported that staff costs make up 60% of total costs in care home and residential homes. Controlling costs is crucial if care homes are to build profitable and sustainable businesses. There is a balance between the quality of care provided and costs. Online accounting addresses many of the issues above. Access to real time data helps care home operators to keep control of their costs. Deviations from the budget can be identified immediately rather than several months down the line, which is what typically happens with traditional accounting. Integrated payroll modules ensure that managing the wages for large numbers of staff working a range of hours can be completed quickly and efficiently. The payroll can be reconciled automatically in the accounts. The capability to integrate with a wide range of third party applications enables care home operators to manage timesheets, job scheduling and appointments seamlessly with their online accounting software. When it comes to care homes good financial management is believed to be key in delivering high quality care, the use of online accounting helps to achieve this objective. Working with 1 Accounts care homes can plan for the anticipated growth in demand, creating strong and sustainable business development plans. The hospitality sector in the UK is expected to be exceed £100 billion by the end of 2018. It has grown by around 6% for the last 5 years. The use of online accounting can help to address many of the issues outlined above. The ability to know and understand the numbers within the hospitality business is a critical success factor. Tracking revenue and profitability by different income streams, such as food, beverages, events, accommodation, can make the difference between the business delivering an overall profit or a loss. Cash flow forecasting helps to iron out the peaks and troughs of seasonal trends. The hospitality sector has become characterised by offers, with consumers regarding discounts as the norm. Offers can drive business and create a reason to buy but it is imperative that they do not impact negatively on the bottom line. Access to real time accounting information will enable the business to make well informed decisions. Managing a number of staff who may be part time, full time, temporary or permanent can be labour intensive. Online payroll systems that integrate with the online accounting software can save hours of administration time and reduce payroll errors. With an estimated 1 in 5 employees in the industry considering leaving the UK because of Brexit paying staff quickly, on time and without errors will help with retention. Integrated point of sale, payment, CRM and inventory third party applications can enhance the customer experience helping to increase customer loyalty. Loyal, happy customers are critical for repeat business, reputation management and word of mouth.